Are millennials really savvy when it comes to property investment? The UAE is a young, dynamic country, with a large millennial population, aspiring for nothing but the best. Born between the 1980s and 2000, this generation is an enthusiastic consumer of financial technology or fintech solutions, but are they really savvy when it comes to the adult world of property investment and financing? According to the Dubai Statistics Centre, the median age of residents in Dubai was between 30 and 34 in 2015 — that is approximately 500,000 out of a population of 2.5 million. This segment of “older” millennials earns anywhere between Dh10,000 and Dh35,000 a month, either as employees or business owners and are expected to be an important component of the housing market. Despite being relatively better off, surveys indicate that property ownership among UAE residents between the age of 18 and 36 is far lower than the global average. According to a 2016 report by HSBC, a mere 26 per cent of UAE millennials own property, as against a whopping 70 per cent in China, 46 per cent in Mexico and 41 per cent in France. This fact is borne out by bank financing records, which indicate that only 20 per cent of finance seekers in the UAE tend to be millennial. The reason younger people in the UAE hesitate to book properties is, of course, the challenge of affordability. High initial deposit and the inability to save up for a down payment is a major hurdle. First-time buyers must pay a minimum 25 per cent deposit for property under Dh5 million, rising to 35 per cent for property above Dh5 million. However, that trend is now reversing. Analysis by banks indicate that in the last four to five years, self-employed young people tend to take financing for higher-end apartments, while professionals are opting for affordable housing. Due to lower profit rates on home finance, more millennials are buying property, while a slowdown in housing prices is proving to be an opportunity. According to the IMF’s Global House Price Index, the average property prices in the UAE fell 5.4 per cent last year, making it a good time for millennials in particular to jump onto the property bandwagon. First and foremost, millennials should be clear about their requirements and short to medium-term plans regarding career and family size and choose the property location carefully. The younger generation have very specific choices when it comes to selecting property and are more attracted to modern amenities that complement their lifestyle, the newest architecture and quick access to hotspots. They should also decide if it is for their own use or purely investment purpose. Couples below 35 usually don’t have large savings, and must refrain from simply investing in property that look attractive. This may lead to faulty decision-making and selecting apartments that are poorly constructed, too expensive or inconveniently located. 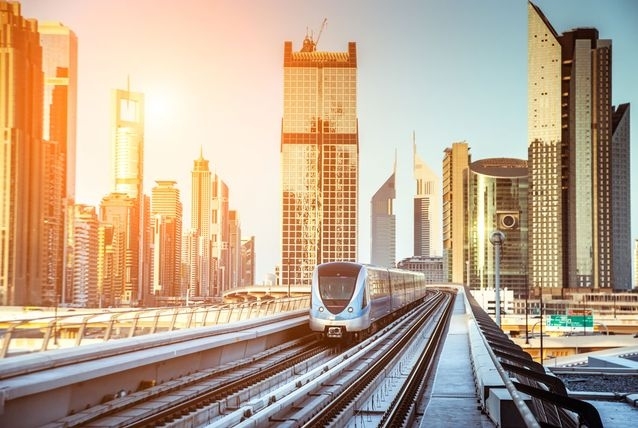 The UAE government has taken several steps to discipline the real estate market and make it more transparent, especially in the last few years. It is, therefore, important to keep updated on the latest policies. For instance, last year the Dubai Municipality allocated over 100 hectares of land for affordable housing. It is advisable to keep track of no-frills homes with prices tailored to mid-income and first-time buyers. Unlike the older generation, young people now have unprecedented access to information on property and types of financing available. It is customary to use all kinds of property search features, such as 360 virtual reality tours, to screen properties online and save time. The most important factor in buying property is, of course, finance. Those with a steady source of income should start saving as early as possible for the down payment, even if it means cutting back on day-to-day luxuries. In the past 15 years, there has been a major shift in attitude, with home financing now a mainstream concept. Younger investors are willing to make quicker decisions, unlike the previous generation, and prefer to do their own online research, avoiding advice from friends, realtors or relatives, arriving at the bank only for document submission. Banks are, therefore, sensitive to the needs of the millennial buyer, ensuring that online services remain meticulously updated. At the end of the day, it is always better to consult a professional, as home finance is a major decision that can have a significant impact on personal income and lifestyle.